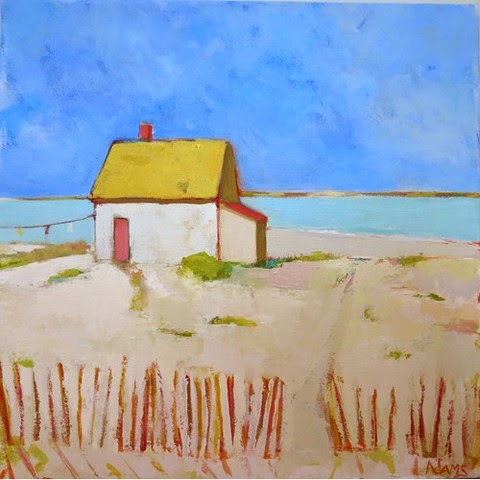 If you look at Phyllis Adams' paintings and envision her heading off in a boat to paint by the seaside, you're mostly right. 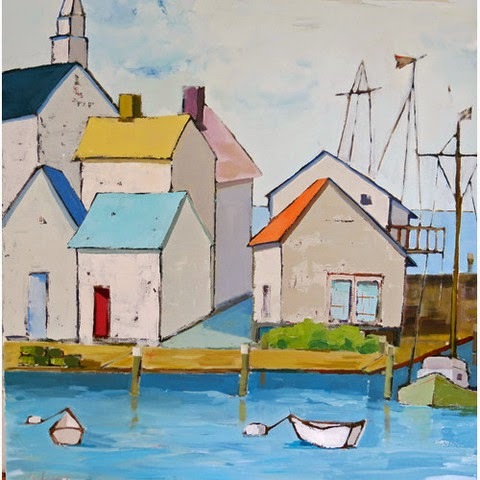 She does have a studio at her home, which is perfect for when she only has an hour or two, but in the summer her favorite place to paint is on the Westport River. "I have a small Boston Whaler that I pack my painting supplies into and my 3 dogs and head out," she says. 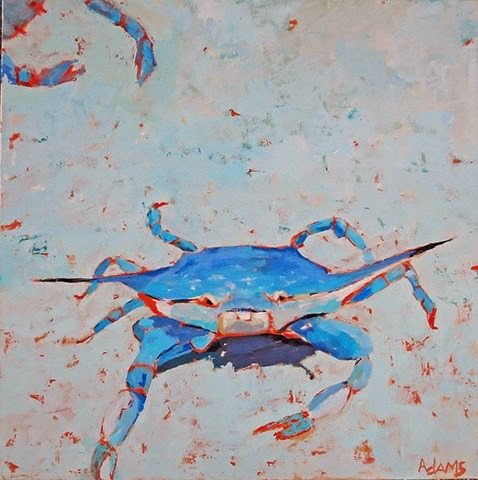 "I usually go at low tide so I can pull up to a sandbar and set up my easel. The dogs also enjoy exploring the sandbar and marshes and I take a dip or two to cool off. This to me is a perfect day." Her color palette is influenced by her surroundings, and her childhood. "I grew up near the ocean so blues and beachy colors come naturally to me," she said. "My mother painted and had an artistic bent, I remember she painted some of rooms in our house a beautiful shade of turquoise and this color has continued to be my favorite. I also recently discovered a painting she did and I hung it up in my studio, to my surprise everyone that saw it thought that I had painted it. I hadn't realized it before but my palette was very similar to hers." In addition to her home studio and the great outdoors, Phyllis rents a studio where she can spend the day without distractions - leaving chores and other duties behind. She says one of the best things about the studio is that other artists are in the same building. "Painting can be a very solitary business," she said. "I enjoy the camaraderie and we also get together to discuss and critique each others work. I find this invaluable to my painting process." She keeps to a schedule, for the sake of staying productive and disciplined. "It helps on those days when there is a blank canvas staring at me or if I am struggling with a problem in a painting." She has always tried to carve out time for painting, even when she was working in the tech industry - where she discovered she was not alone. "In my experience I have come across many very creative tech types - be they computer programmers or software architects. I did find that most had one thing in common, they all had some art related facet in their life, many were musicians, some writers or Sunday painters. In fact, many had liberal arts degrees. I think this diversity added to their ability to push boundaries and think outside the box." "When I retired it was a natural and exciting transition for me be able to devote full time to painting," she said. What's next? 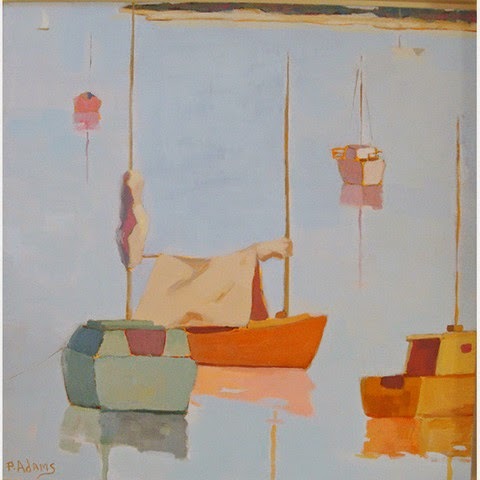 If you've followed Phyllis over the years, you may have noticed her work becoming less representational. 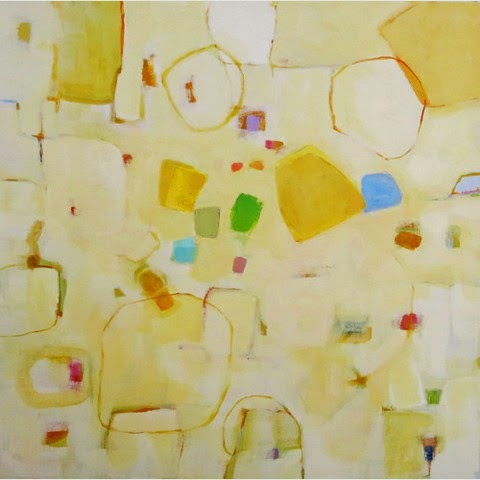 Her goal, she says is to simplify and pare down the subject matter, straddling the edges of realism and abstraction. She finds this direction more challenging and more interesting than just trying to put down exactly what is in front of her. She's also experimenting with abstract expressionism, which she says is fun but "difficult and a bit scary at times. All the same painting elements apply, i.e, composition, color, line etc. but you are quite on your own." "It's a bit like taking a leap without a safety net."